Accounts found in the Saturday Evening Post show that Paris was painted in stars and stripes July 4, 1918. Parisians lined the streets to catch a glimpse of the American soldiers-the very same ones who had so bravely defended the road to Paris at Chauteau Thierry from Prussian troops. Perhaps it was because they had been thrown into the forefront of the line, but the Americans were highly unaware of what their resistance had done for the rest of the Allied troops. After four years of misery, the French thought what better compliment could be paid to the Devil Dogs than to celebrate America’s Independence Day the same way it was back home? Paris saw itself as home to a Red Cross sponsored parade, where, led by a French battalion of veterans, American soldiers paraded from Place de la Concorde to the Champs Elysee and then all the way down L’Avenue du President Wilson; their band playing “Over There” as the crowds went wild with enthusiasm. 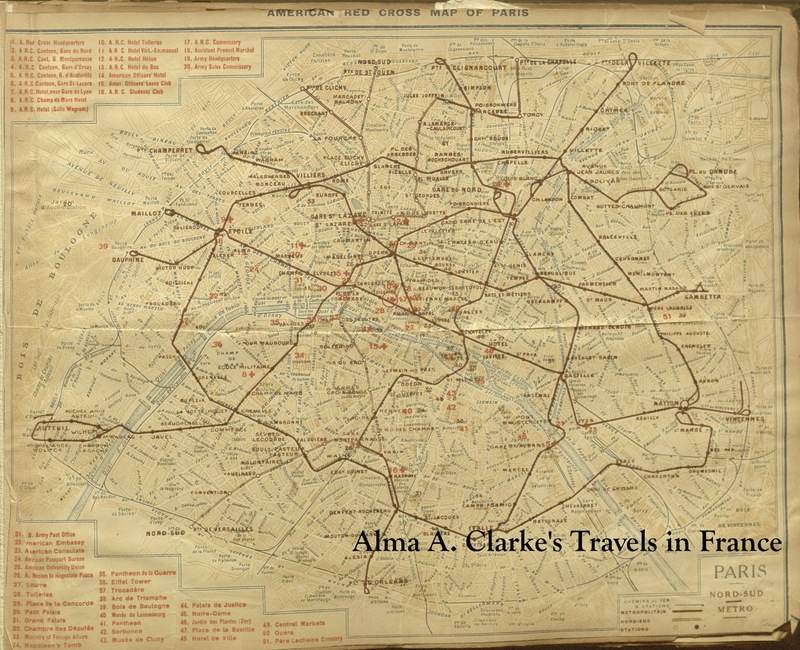 Research shows that Clarke frequently traveled between America and Europe, even throughout the war. Her constant movement allowed her to serve both as an American Red Cross nurse at Neuilly-sur-Seine and a public speaker at home in America. Documentation within the scrapbook shows that Clarke was in attendance at a variety of Red Cross events, like the Auxiliary Ball, but more than that, she was constantly requested at regiments like the 7th Regiment Armory. 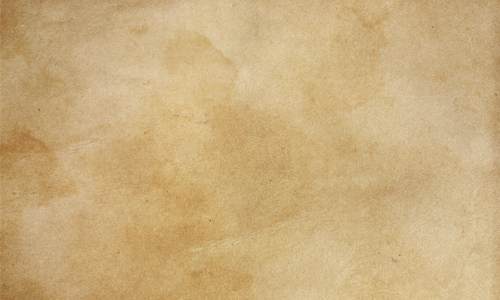 A collection of notes and letters within the scrapbook show that Clarke was vastly popular with the troops, which could explain why she was so frequently requested to speak to them about patriotism in general and membership within the American Red Cross.